Best I go straight to the story today. A new book that I can rank among the best illustrated editions that we have at home. Usually when one searches for a smashing illustrated edition of a greatly loved children's book, the only certain result is that one will spend a lot of time looking. In the case of The Secret Garden, luck is on our side. I found three heart-warming illustrated versions! But before we check out which edition is the best book-of-the-day, lets make one thing clear. 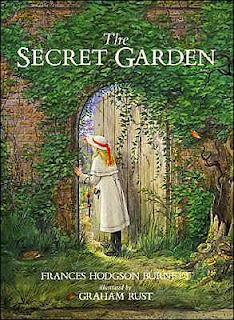 The Secret Garden is a must-have for your home library, regardless of whether your family is blessed with sons or daughters. "Two things cannot be in one place. Where you tend a rose, a thistle cannot grow." It is one thing to have a well-known children's classic in your home library, but quite another thing to have a glorious illustrated edition of the very same classic. Trust your instincts, there is a big difference. Especially if you want to motivate your kids to read more, if you have a struggling reader or even if you have a tough time reading aloud to your kids. A handsome illustrated edition of a classic - will help you go all the way. Beautifully illustrated editions provide more that extra 'oomph' that that will ensure your kids enjoy a magical and unforgettable read-aloud experience. Yet, even if you are lucky enough that your kids adore reading classics, it is always good to strengthen that love by providing them with memorable versions of those stories. breathing quite fast with excitement, and wonder, and delight. More than one hundred years have passed since The Secret Garden was published in 1909. This masterpiece of children's literature penned by Francis Hodgson Burnett touches our hearts with the story of orphan Mary Lennox who is sent to live with her Uncle in England after her Ayah in India dies. While living in the huge Misselthwaite Manor with her uncle she gets to know two boys - her bedridden cousin Colin who is bound to a wheelchair and a Yorkshire lad Dickon - who help her bring the forgotten garden back to life. As they breath life into the locked up garden, they also breath life back into the life of Mary's Uncle Archibald Craven who has reduced his life to a miserable existence following the death of his wife. A magnificent story indeed - a story that deserves to be presented to kids in a illustrated format. But what is the best illustrated version available today? OK - we are on a quest - but we are looking for exactly? 5. The illustrations, layout, fonts, covers and presentation must capture a reader's imagination. I've had my fair share of troubles searching for the best illustrated versions of children's classics. Like the time that I almost gave up after spending days looking for a smashing illustrated version of The Adventures of Pinocchio. Or the time I faced dozens of editions of Alice in Wonderland and Alice Through the Looking Glass ... until I found a winning double edition illustrated by Helen Oxenbury! Yes, looking for a fantastic illustrated read-aloud is an adventure in itself. And I am happy to offer you the results of my latest treasure hunt for the ideal The Secret Garden. This time I will not keep you on the edge of your seat, no - this time I was lucky. You don't deserve to wait too, as this book is a treasure waiting to be taken. 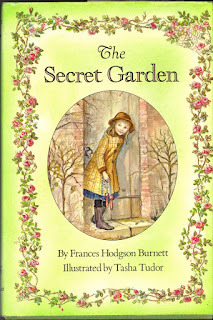 I did not find one, nor two great illustrated read-aloud editions of The Secret Garden. No, this time around I found three exceptional editions, all of which deserve your attention. Even in a three-way tie for the first spot, there is one book that is just a nose ahead of the others. This Inga Moore illustrated edition is the one that really leads the pack. In fact, I like it so much that I ordered it for my home library. Wow, just look at these breath-taking illustrations by Inga Moore. It is as if you are being teleported to the very garden. 4. A big enough 'read-aloud' edition? Check! 5. Does it capture my imagination? Check! Inga Moore's illustrated version is simply remarkable. You cannot make a mistake with this edition as it will entrance you with its rich and detailed ink and watercolor paintings that abound through the book. 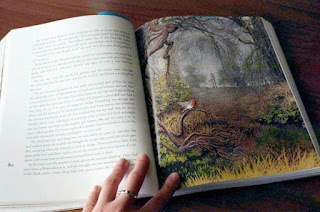 Almost every double page in the book has one of Moore's dreamy illustrations. I dare you to take up this book, start reading it to your kids and not finish it! They won't let you stop after they see these incredibly rich details. 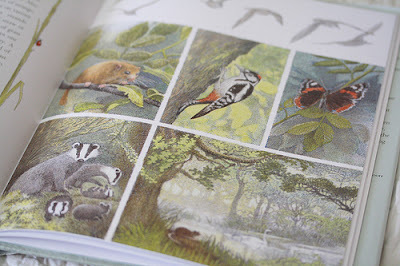 The perfect imagery of small animals - from foxes to butterflies, from mice to squirells - that breath life into the garden and the countryside. 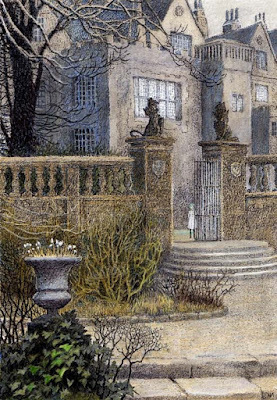 Inga Moore's fresh, misty-like watercolors give a realistic view of a English garden that is tended with love. 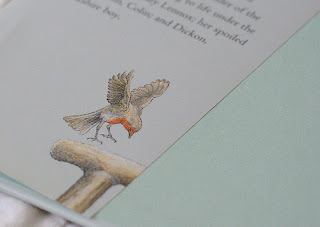 Admitedly, a book such as The Secret Garden has many illustrated versions that will be dear to the heart of many readers. So read on to learn about other worthy versions that are available to you today. and all the world wonders why it was not done centuries ago." 2. The Secret Garden illustrated by Tasha Tudor. This is the second illustrated version that you will not go wrong with! If you were to ask me Moore or Tudor illustrations - my personal preference, by a small margin, is Moore. 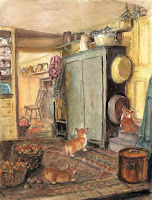 Inga Moore's illustrations are still classical, yet somewhat more modern and realistic. That's just my personal impression. You will see my final ranking at the end of this post, yet I can tell you that Tudor's edition clearly does get my thumbs up. 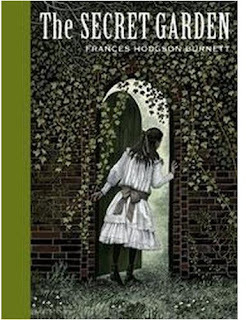 Yes, this HarperCollins Deluxe edition of The Secret Garden is a fabulous offering as well. 3. Illustrated? Check! Beautiful illustrations by Tasha Tudor. ﻿﻿Smaller format than the Inga Moore edition, but a greater number of pages to compensate. 5. Final test. Does it capture my imagination? Check! 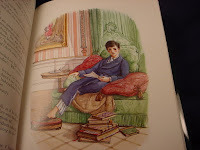 I do not remember which version of The Secret Garden I read as a boy, but if it was an illustrated version it could have easily been the Tasha Tudor version. Tudor is one of America’s best-known and beloved illustrators. Her first little story, Pumpkin Moonshine, was published in 1938 and she received many awards and honors, including Caldecott Honors. Tudor's illustrations have a classical feel to them and they are very reassuring. This edition of the illustrated book will give you that warm feeling around the heart, which is such a rare quality. Maybe the reason why I didn't put this edition at the very top of my own personal top list is the fact that her picture feel a bit dated. Yet, what is dated for one is also vintage for someone else. I cannot deny that Tudor's charm is present in full force. 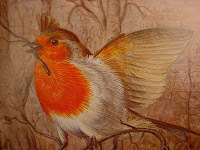 "To speak robin to a robin is like speaking French to a Frenchman"
Another fab cover image by illustrator Scott McKowen! This modestly priced version of The Secret Garden seems to have everything going for it, at face value. 5. Captures my imagination? Yes - but only the cover! Don't get me wrong, these Sterling Classics are fabulous. They are one of the most affordable ways of making a truly impressive home library. Still, they do not pass our test. I list them here as you may make the mistake of ordering a Sterling Classic version of The Secret Garden, under the impression that you are getting a richly illustrated book. The illustrations in these editions are sparse and minimalist, they simply do not pass our test. Leafing through this edition of The Secret Garden it becomes evident that Rust has such a sensibility for the theme - his feeling shines through each and every of his pictures. This version was published in December 1987 and is still in print. Rust's images are so fresh and vivid, that they really make the story come alive. I love it when I can find and recommend exceptional illustrated editions of a well-known and well-loved classic such as The Secret Garden. Tis is a book to read and re-read and a book to treasure in your home library. To sum up, my opinion is that you will not go wrong if you choose any of the three editions illustrated by Moore, Tudor or Rust. Grab The Secret Garden of your personal preference and enjoy! I did not review all the available The Secret Garden editions that were issued, not even all that are on sale. Just those that I thought came close to fulfilling my five conditions and which were available to me. Of course, it is possible that I may have skipped an edition that you particularly love or enjoy. Sorry, it was not on purpose! So, let's not remain sad - I'd love to know about the The Secret Garden edition that you enjoy most, please use the comments section below to tell me! You know - I have to start working on the Yorkshire accent myself! My kids haven't asked me yet about my favorite book, but now that I read about your son, you got me thinking! I hope you have a smashing time together - reading The Secret Garden! You will be giving your son an unforgettable time, he is sure to remember it forever! Illustrations are especially important for kids who are branching out into new types of books! My nearly six-year old son just asked me last night what my favorite book was (expecting me to pick something from his bookshelf, no doubt). When I answered, "The Secret Garden," he asked if we had this book. I had never thought to read it to him before! Getting a version with beautiful illustrations would certainly help to keep his interest - although if I can manage the Yorkshire accent half as well as my Mother did when she read it to me, he's sure to be captivated. Thanks for the suggestions!! Thank you for the wonderful reviews. 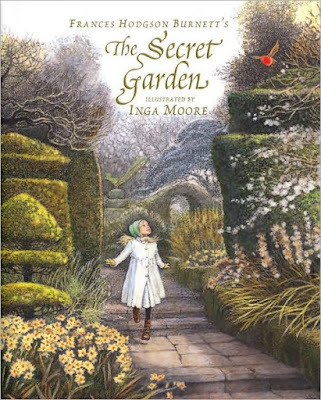 I have ordered the Inga Moore edition as well as the Peter Pan you recommend and am so excited to get them in my hands! My daughter and I have been looking at the illustrations online and we can't wait to start it. I have also been collecting hard-cover, beautifully-illustrated editions of children's classics and found your site while researching an edition of Pinocchio (the one you also recommend) that I have from the library. I do disagree with you on one point: we do read abridged versions of many books while we are waiting for my kids--aged 6 & 8--to be old enough for some of the original versions. The ultimate goal is, of course, to read the originals that are waiting for them, but they can still enjoy many of the stories. For example, my son loves the story of Treasure Island. His first version was in kindergarten: an Easy Reader Classic he read himself. Since we have seen a stage version, two different movies, and read another abridged version. In a few years, we will happily sit down and read the original of an already much-loved (and familiar) tale. Thank you for the great feedback and for sharing your own enthusiasm for great versions of children's classics! I love love love when I hear from other parents who are also engaged in finding illustrated classics for their kids (I love to learn about great books too!). You have a good point in your comment - abridged books have a role to play in the education of our kids. For one, I read a lot of abridged books when I was a kid. More than unabridged for sure. In fact, for early readers - those are the books of choice, for sure. You rightly noticed that I stress unabridged books - but I do this for a couple of reasons - and the principal is to motivate parents to give them a try in their read-aloud sessions. These books probably require more effort on the part of the reader and the listener, but often they bring some sparkling new treasures as well. The second reason is that many of us do not even check whether the book we plan to buy/loan is an abridged or unabridged version, but it is an important factor that we should keep in mind. Speaking of this, let me say this - I never read David Copperfield! Never ever. Yet, last week I saw an unabridged easy reader version at my mom's ... and I grabbed it and read it in an hour or so. Felt so good! Now I want the original - just as you said! THANK YOU SO MUCH FOR YOUR CARE AND YOUR BRILLIANCE !! Your five criteria are exactly my five criteria when I am trying to pick the perfect edition of a beloved book for a young reader friend of mine for her birthday. I just can't thank you enough since I had embarked on my ordinarily multi day and frustrating search from scratch, and then by some miracle I chanced upon your posts about The Secret Garden.